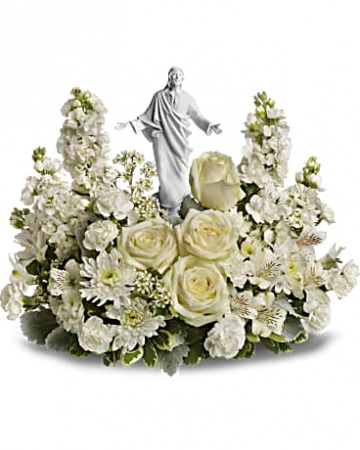 A calming presentation with a statue of Jesus among beautiful flowers. A Teleflora product. 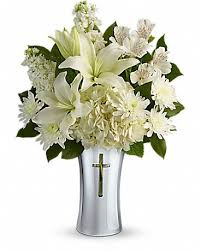 Other flowers may be used - call us. 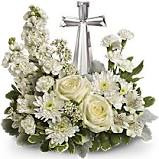 A beautiful crystal cross amid comforting white flowers. 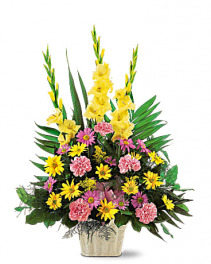 A Teleflora product. 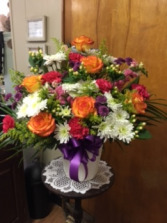 Available with other flowers - call us and we can help you chose what is just right for you to send.